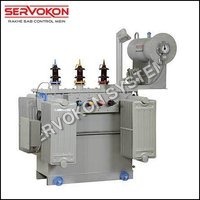 A Quality driven organization offering a wide range of products such as servi voltage , stabilizers , servo controlled stabilizers , Automatic voltage stabilizers , Industrial Transformers Etc. An iso 9001:2008 certified & ul listed company was established in the year 2005 with a mission and vision to the safety concern of electrical systems like surge protector,power surge protection, etc. We have acquired expertise and over three and an half decades of domain functional experience in developing Electronic Voltage Stabilizer which accurately supplies and controls the electrical voltage. 12YR HINDUSTAN POWER PRODUCTS (P) LTD. Send Inquiry Single Phase SCVS Air CooledHINDUSTAN POWER PRODUCTS (P) LTD. Refer the below listed Electrical Supplies Manufacturers and Sellers, who deal with a wide collection of Electronic Components, Enclosure, Inverter, Transformers and other Electrical Goods. This electrical equipment is vital to every business. Like, the construction engineer requires right wires, switches and fittings to make repairs and field workers needs portable power supplies to keep running the operation. So, if you want to buy such useful products, then place your order with Electronic Supplies manufacturers and sellers. Feel free to contact them directly through SMS, email and Call Me Free service. We assure you that your demand will be met on time and at market leading prices.